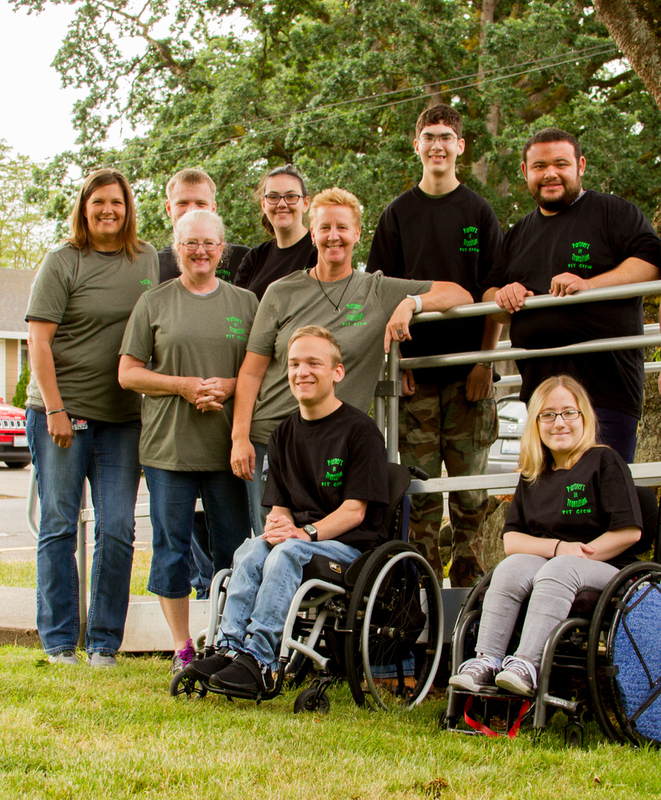 This spring, special needs students enrolled in Woodland Public Schools’ Partners in Transition (PIT) program learned important job procurement skills including writing a letter of interest, developing a resume, filling out job applications and participating in mock interviews by working with the Woodland Action Center, school staff, and local businesses. The PIT staff bought and silk-screened t-shirts with the class motto "Works Hard to Play Hard" as a reward for the students' hard work. As a special treat for their hard work, Horrocks and her team, which includes paraeducators Ann Ingraham and Nancy Thibodeaux, purchased and designed t-shirts which Ingraham silkscreened with the class motto: "Works Hard to Play Hard." Students concluded the unit by giving presentations on their career choice research using an informational slideshow they each developed. 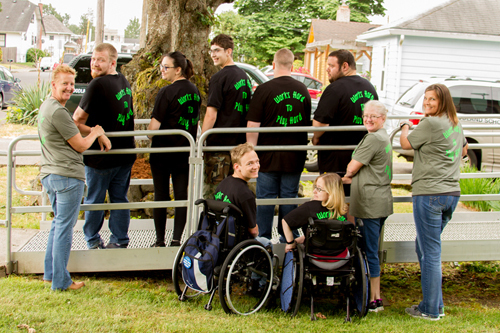 The PIT program is headquartered in a home operated by Woodland Public Schools located near the district office where students spend half of each day honing their functional academic, social and life skills. For the other half of their time, students participate in job study programs at six different job sites each year where they gain valuable work skills by working at local businesses throughout the area. 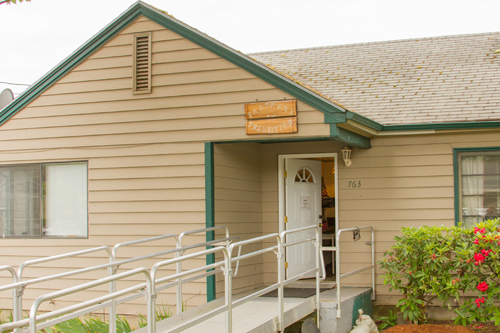 The Partners in Transition program operates out of a home located next door to the Woodland Public Schools District Office. D'Ann Horrocks discovered her passion for working with special needs students after taking an adaptive health class in college which inspired her to go back to school for additional certification in special education. 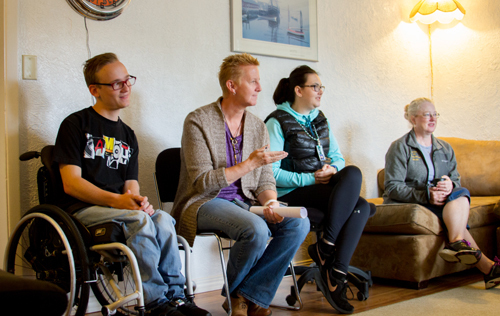 Local businesses interested in partnering with the Partners in Transition program by offering job opportunities or community members interested in seeing how they can participate can contact D’Ann Horrocks via email at horrockd@woodlandschools.org or by calling (360) 841-8540. You can learn more about the Partners in Transition Program by visiting the district website at www.woodlandschools.org.